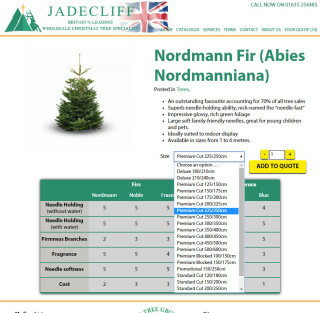 I’m the IT Manager for Jadecliff Ltd, a UK-based wholesaler of Christmas trees with plantations across Europe as well as at home. 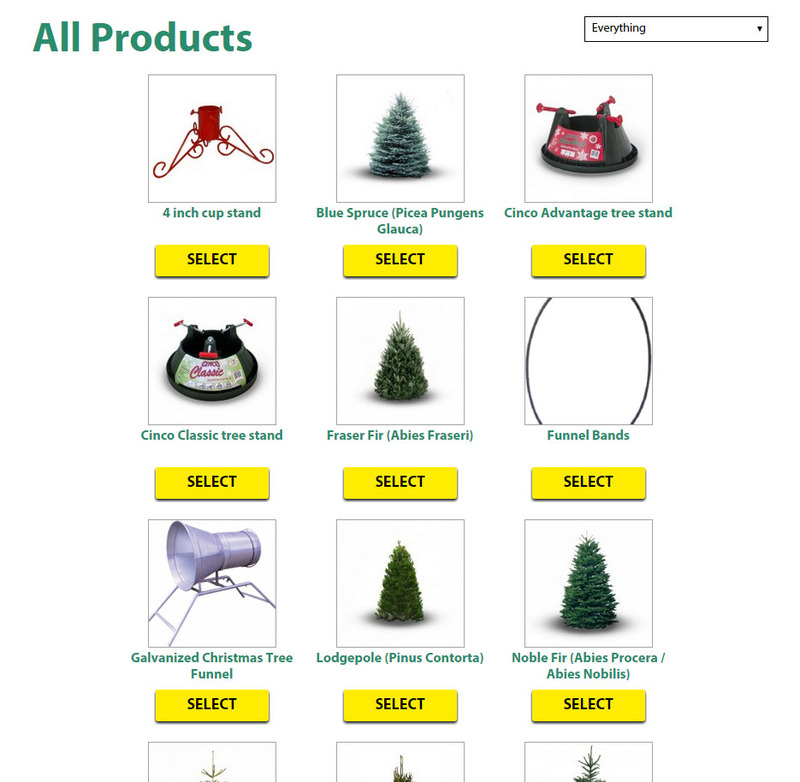 When I joined their IT systems were outdated or non-existant, but there’s been a steady encroachment since I joined and one of the first parts was building a modern website to represent the company. 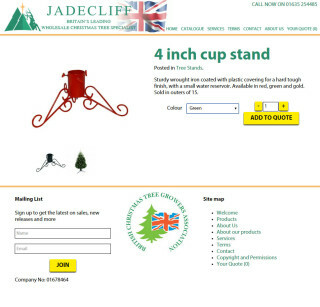 The Jadecliff site first went live with this design in 2013, originally built on Shopify due to a very constrained timeframe and the need to list products akin to a shop. In early 2014 with the madness of Christmas over I ported the theme over to WordPress, and began experimenting with Jigoshop to provide the shop element. 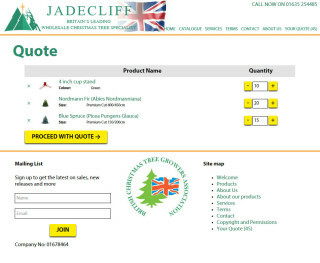 The latest evolution in 2015 retains the same basic look, but now features a heavily mangled Jigoshop which now functions as a quotation system, so customers can request prices through the website. 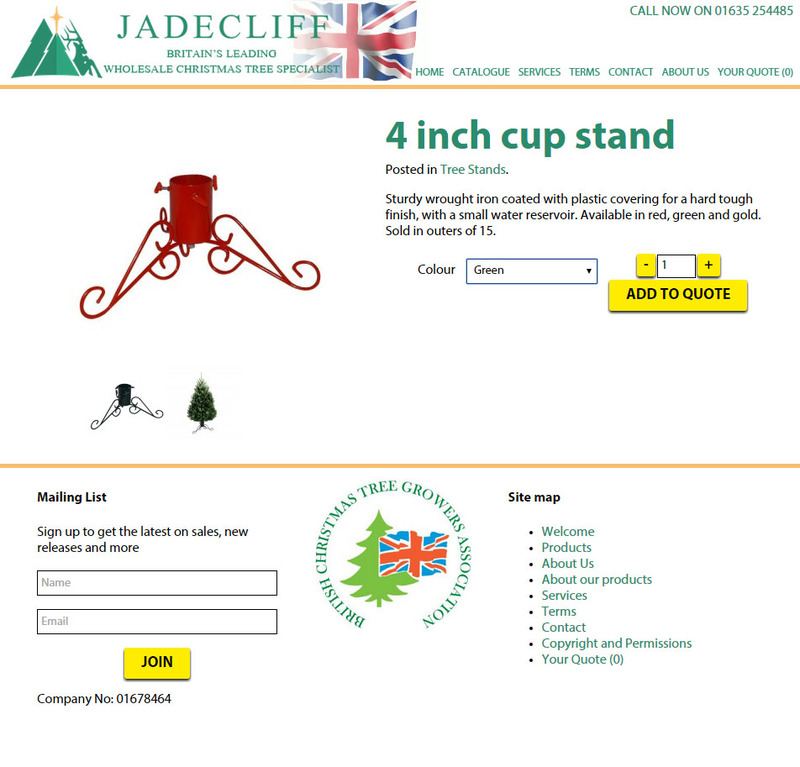 The product pages function as you’d expect, with “Add to Cart” replaced with “Add to Quote”. 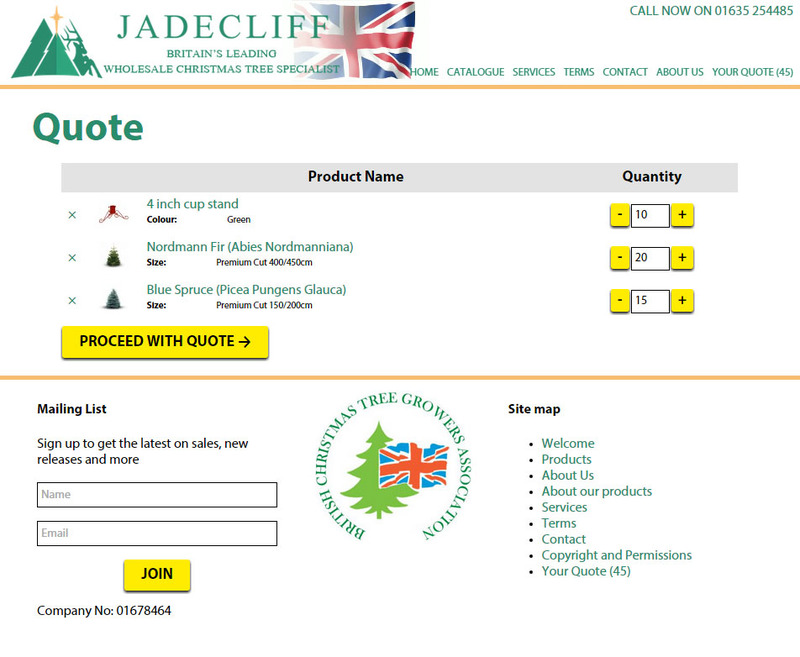 When you go and view your quote your greeted with the Jigoshop shopping cart with all prices and delivery information removed, just a next button. 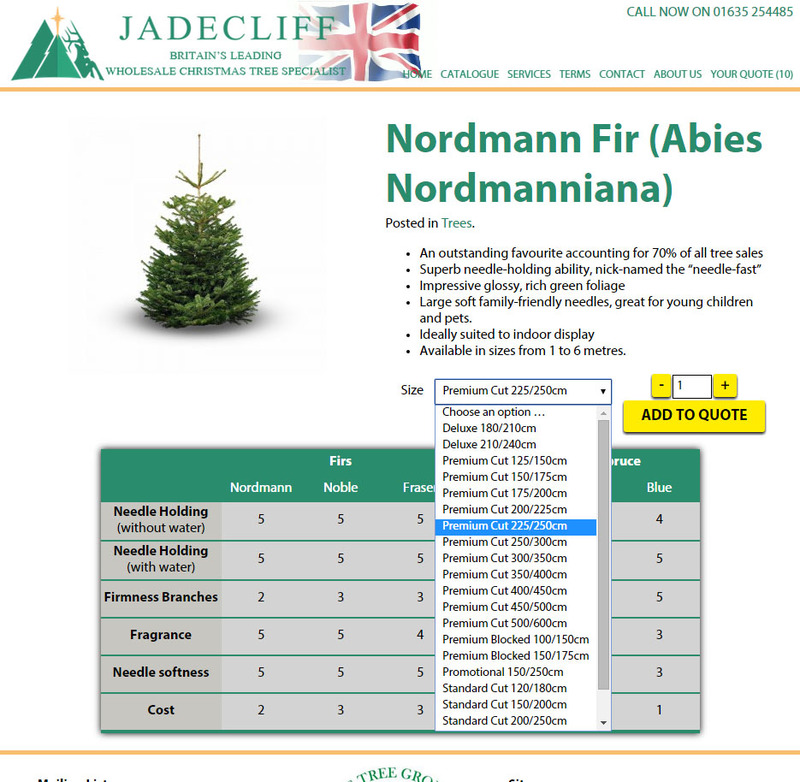 The final screen has you input your address details in case the location needs some special delivery arrangements, and then hit Send! 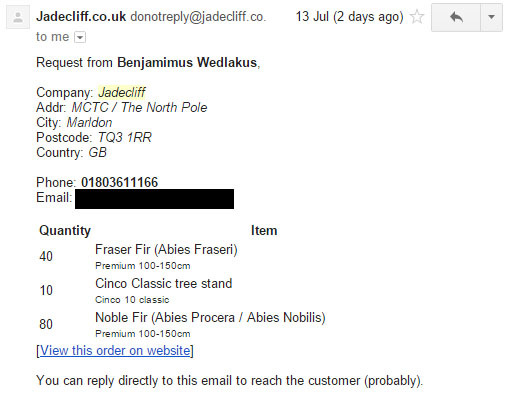 A prettified version of what you entered is sent to the administrators with all your information as well as a confirmation to the customer making the request. 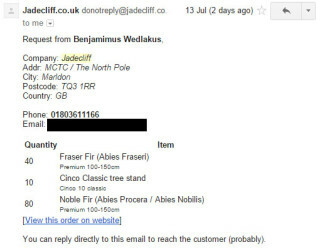 The Jigoshop modifications are fairly extensive to achieve this and “disable” quite a lot of it’s systems. 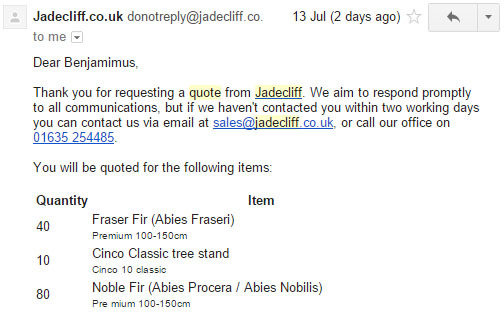 This is all achieved in a reasonably upgrade-safe way because, thank the lord, Jigoshop is basically stuck together entirely with WordPress action hooks and shortcodes, so it’s fairly trivial to disable Jigoshops own functions and re-implement your own. At some point something core will change and these mods will need revising, as I am re-implementing some fairly significant chunks of code. 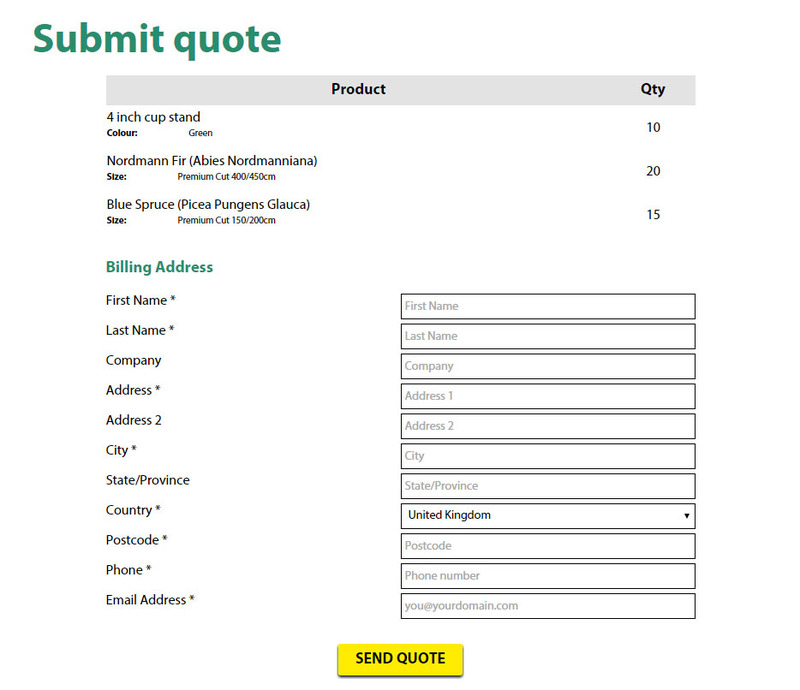 In the Jigoshop management interface these quotes appear as purchases/orders with pending cheque payment. 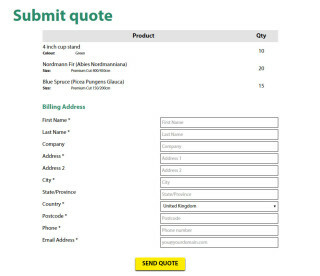 In the final page of the quotation process some hidden input fields are stashed to set the delivery options etc, in place of the user-controllable form fields that would usually be there. All Jigoshops standard emails are also disabled (otherwise customers requesting a quote would get another email thanking them for their order, whicb wouldn’t go down well).